When Eva finds a baby hedgehog in a nearby barn, she and Karl contact a specialist hedgehog rescue centre to find out how to look after it. Meanwhile, the hunt is on to find Barney’s family – who, unbeknown to Eva, are also in need of rescuing! Admirable book but why oh why don’t people do their research before printing these books. This is a story about a wild hedgehog yet you have a picture of an African Pygmy Hedgehog on the cover. These animals are bred for the pet market and cannot survive in the wild. Wildlife rescues are seeing them in larger and larger numbers because owners get fed up with them and chuck them out into the wild. If you are going to educate children about our wildlife kindly make sure it IS our wildlife. 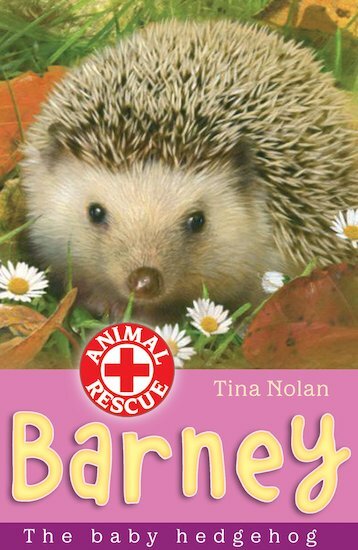 This book was fantastic it was so adventorous,exciting,had so much care and love.This book taught us will me many things eg.to care for animals.To do whatever it takes even though you had something else planned and to never give up! so I hope alot of you will try and read this and if you already have then try some more this is a book for people who adore,love,and worship animals.